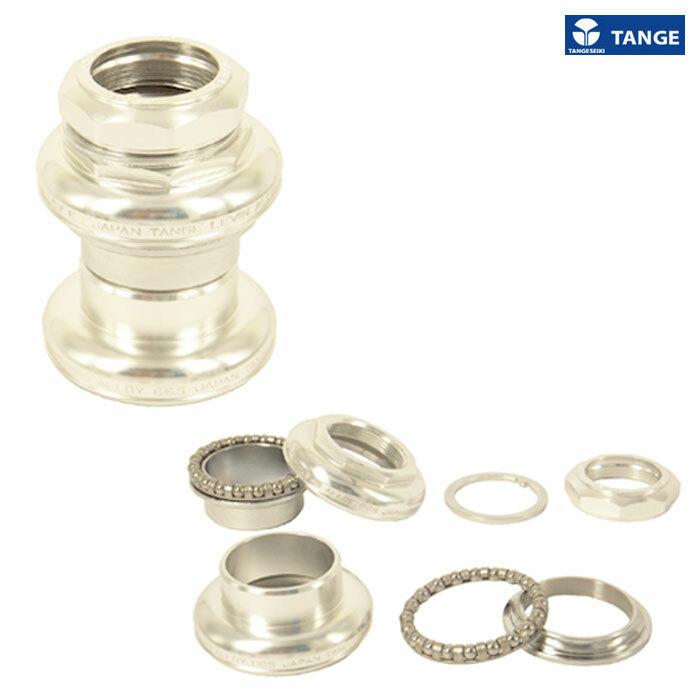 Tange Seiki Levin Alloy 1500 NJS Threaded Headset: Used by professional Keirin track racers. The Levin headsets looks like the old Campagnolo Record headsets and is just as well made. Is this suitable for a normal 1" steerer and what is the stack height ?? This will indeed be suitable for a 1" steerer. The stack height is approximately 25mm. Hi I'm looking to replace like for like a Tange Seiki Levin No. NL500 from and old Peugeot Racer. Can you let me know if this headset is the same, or will fit, my only concern is that my current headset states 1''x24TPI, and I'm not sure if this is non standard? 1''x24TPI is the "normal" 1 inch headset thread. When you say the stack height is 26.4mm, do you mean the upper portion? I've seen other specs on this headset that identify the stack heights as 28.2 for the upper, 14.5 lower, 42.7 total. I was under the impression that the 26.4 measurement is the crown race diameter. Am I mistaken about this?? You are correct in that 26.4mm is not the stack height for this headset, having just physically measured it it is 36.4mm, so I believe there may have been a typo when the previous question was answered. 26.4mm is indeed the crown race measurement. What Exactly Is "Stack Height"
The stack height is the height of the headset that sits externally of the frame. This is required so you can know if you have enough thread showing on the fork to be able to do the headset up specially.